BJP President Amit Shah's game is straightforward. He is eager to do a Tripura in Kerala, as his target is the CPI(M)-led Left Front government. BJP President Amit Shah's game is straightforward. He is eager to do a Tripura in Kerala. The Tripura results were the biggest shock I had experienced in 50 years of covering politics. I have on my shelf a book, "Tripura's Bravehearts" by B.L. Vohra, former Director General of Police in the state. It is an unbelievable document. Never will you find a decorated police officer shower praise with such enthusiasm on a serving Chief Minister. 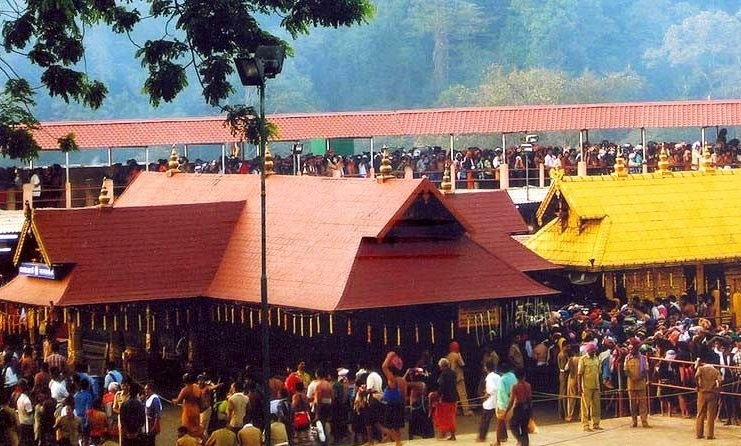 This one-upmanship on Sabarimala casts both the parties as hardliners, opposed to the Supreme Court directive. The Congress is, in fact, following a folksy, Awadhi saying: "Tum daal, daal to hum paat, paat." (If you climb the branches; I shall climb the leaves). The Congress' Chennithala says Ayyappa devotees be given the status of a religious sect under Article 26, immunised from any legal interference. "My party is with the believers," he asserts. Since the late K. Karunakaran's Chief Ministership, the Congress has always been BJP-neutral, largely because its biggest political opponent is the Communist-led Left Front. The BJP never entered the Assembly, but it consolidated 0.5 to 1% vote across the state. Whenever this 1% vote was injected into the election process, the Congress-led United Democratic Front generally wins. Margins of victory in Kerala are thin.